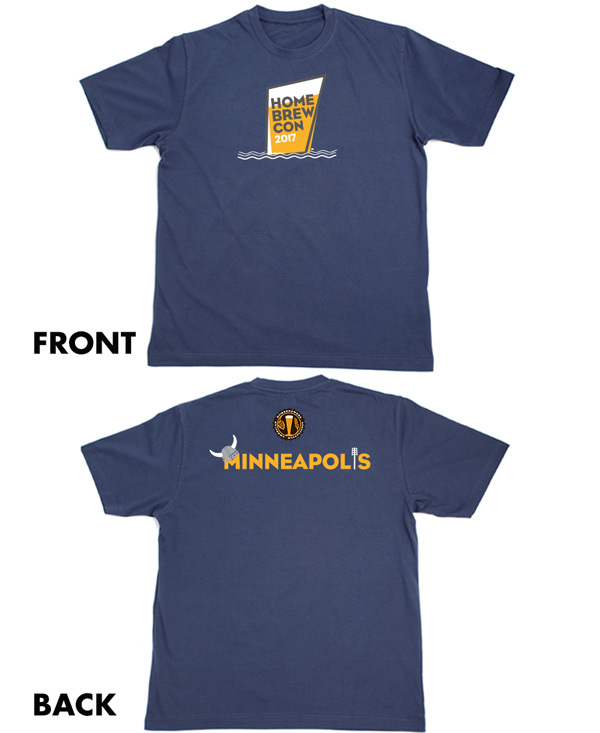 Order Your Official Homebrew Con T-Shirt by 5/4 at 11:59pm PT! 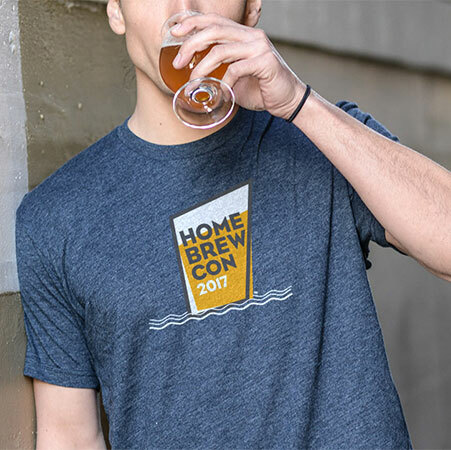 The 2017 Homebrew Con commemorative t-shirt design has been revealed! Isn’t it glorious? This awesome design will be printed on a mystery blue cotton t-shirt and available in men’s and women’s styles sizes S-XXXL. Add the shirt to your order during pre-sale registration. They will also be on sale at the conference, but sold out quickly in 2016. Plan on picking up your pre-ordered shirt or buying one during registration–it’s one less item you need to pack for the conference! Note: The last chance to add an official conference t-shirt to your online registration is at 11:59 pm PT, May 4, 2017. A limited number of t-shirts will be available for purchase on-site. Men’s style shirt pictured, women’s will feature the same design, but women’s fit.